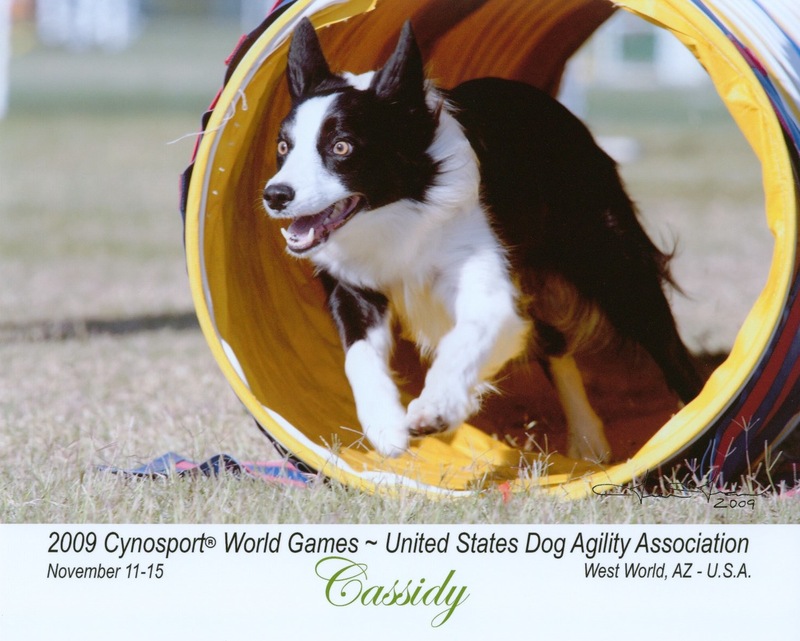 Training and competing with my girls, Callie and Cassidy in dog agility. It’s Friday morning, my last day of winter break, how sad is that! Sitting at the Apple store working on my video projects and learning how to use this blogging site a little bit better. I sign up for these project 3 hour blocks of time to be sure I continue to learn how to use my computer to it’s fullest potential. So much to learn and so little time. Was reading Nancy Gyes’ blog and thought that it looked fun. I’ve been meaning to start one for some time, maybe that was the incentive I needed. Been listening to the Audio CD I purchased from Lanny Bassham, “What Every Dog Agility Competitor Should Know FIRST About The Mental Game”. It has been very enlightening! I’ve had several light bulb moments. I’d encourage everyone to listen to this past Olympian. Here is a picture of Cassidy from Nationals this past November. A bit intense isn’t she:) She gives me her all, that’s for sure! ~ by Diana Wilson on January 8, 2010. Yeah, Diana! I’ve added you to my blog list. This entry was posted on January 8, 2010 at 10:42 AM and is filed under Uncategorized.You can follow any responses to this entry through the RSS 2.0 feed.You can leave a response, or trackback from your own site. Previous: My first attempt at blogging. This one is set up for photos, looked fun!